A brief announcement of a housekeeping-related nature: If you’re looking at this post in its “natural” context, you’re probably doing so using the URL that has existed since this blog was born back in 2003: kidicarus222.blogspot.com. And while that URL still works and will continue to work, the new, “official” URL for this blog will be backofthecerealbox.com. I can’t tell you how many people have asked me why that wasn’t the URL. At least twice. So why have I done this? Honestly, when I registered with Blogger back in my junior year of college, I did not expect I’d still be doing it nearly ten years later. (I thought I’d be too busy counting my money piles, of course.) Not knowing what to put in for a URL, I simply picked the AIM screenname I’d used during my freshman year. Yeah, AIM. I know. Back then, Kid Icarus was an obscure video game that hadn’t received any attention from Nintendo in twelve years. I thought it was mine to keep. 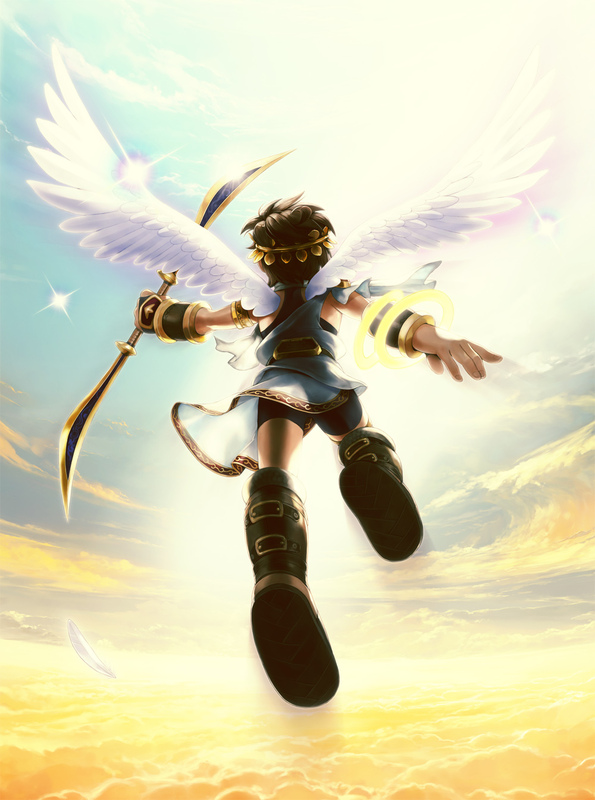 However, Nintendo surprised the hell out of me and released Kid Icarus: Uprising this past February, and suddenly there’s a lot more about the series being written online. Besides, I’m 30 now. I’m beyond the young person’s formula for crafting an online identity — pop culture reference plus random string of numbers — and I feel like this blog title is here to stay. I checked to see if it was up for grabs — it was, and it hasn’t always been, historically — and so I took it. The good news is that all the old links to my blog will still work. But just be aware that in the future, I’ll be treating the old URL as if it doesn’t exist. Get out of here, old URL! Fly away! And now some lesser items: First, I’ve made a custom error page, following a long period of refusing to be bothered with doing so. Second, if installed a new button in the top menu bar that goes to a visual index of sorts. It’s more of an experiment than anything else, and I’m eager to see what posts end up getting clicked on most. Finally, by virtue of jumping to this new URL, this blog effectively lost the small handful of +1s it received. Google Plus users — lend a blogger a hand? I can only hope that they don't make a Red Snifit game, else I may have to change my own URL, which would (gasp!) require me to log in! I would say that you're probably very safe, but there's always the chance that the gray icon in this Nintendo Land set is that very game. It’s PROBABLY the Game & Watch octopus, but we’ll just have to wait and see.